This is a common question that you may have when purchasing automobile insurance or after an accident. It is important to understand the differences between uninsured motorists coverage and underinsured motorists coverage. The amount of coverage that you may have could play an important role in determining if you can be fully compensated for the injuries sustained from an automobile accident. The Goings Law Firm, LLC recommends that you purchase as much UM and UIM insurance as you can afford. The medical bills, loss wages, and other losses that typically result from serious injuries caused by a car accident can be very high. Make sure that you have enough insurance coverage to help compensate you and your family for these damages. Uninsured motorist coverage, referred to as “UM,” is a type of auto insurance policy that pays you for your damages for bodily injury and property damage when an at-fault motorist is without any insurance, or insurance is less than the minimum limits. A motor vehicle is considered uninsured if the owner or operator is unknown, such as a hit-and-run. However, recovery under the uninsured motorist provision is subject to the certain narrow conditions set forth under the South Carolina law. Uninsured motorist coverage in South Carolina is mandatory. Underinsured motorist coverage, referred to as “UIM,” is a type of auto insurance policy that that can be triggered if the at-fault motorist is underinsured. Unlike UM insurance, the at-fault motorist has insurance but the vehicle’s liability policy limits are not enough to compensate you for all of your damages. UIM coverage is optional. You should purchase UIM insurance because very often the medical bills and expenses related to personal injuries from auto accidents will far exceed in at-fault driver’s liability policy. Contact a Columbia Personal Injury Attorney Today if you Have Insurance Questions Following An Accident. The Goings Law Firm, LLC is a Columbia based law firm with experience dealing with the insurance company and finding you the right insurance coverage for your injuries after an automobile, motorcycle, or truck accident. If you have any questions about insurance coverage that may apply following a motor vehicle accident, contact the Goings Law Firm, LLC online today or call (803) 350-9230 for a free consultation. 1. What is Underinsured Motorist Coverage, or UIM? Answer: Underinsured motorist coverage is referred to as UIM. UIM compensates you, or other persons insured under your automobile insurance policy, for amounts which you legally may be entitled to collect as damages from an owner or operator of an at-fault underinsured motor vehicle. Stated differently, UIM insurance helps make up the difference when an at-fault motorist had insurance, but the policy limits were too low to compensate you for all of your damages or injuries. 2. 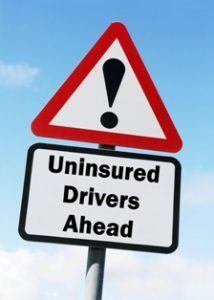 Do I automatically have Underinsured Motorist Coverage (UIM)? Is it mandatory in South Carolina? Answer: No, your automobile insurance policy does not automatically provide underinsured motorist coverage. Underinsured motorist coverage is optional automobile insurance, typically provided as an endorsement to your auto policy. Under South Carolina law, you have the right to be offered underinsured motorist coverage in limits up to the limits of liability coverage which you will carry under your automobile insurance policy. 3. What if I am not offered UIM coverage from an insurance company? Answer: South Carolina law requires insurance companies to make a “meaningful offer” of UIM coverage when you apply for a policy. The purpose of requiring automobile insurers to make a meaningful offer of additional UM or UIM coverage is for you to know your options and to make an informed decision as to which amount of coverage will best suit your needs. If the company failed to make a meaningful offer, you can, under certain circumstances, force the insurance company to “reform” the policy to include the optional coverage. 4. What is considered a “meaningful offer” for UIM coverage? the mailing address and telephone number of the insurance department that the applicant may contact if the applicant has questions that the insurance agent is unable to answer. the insured must be told that optional coverages are available for an additional premium. 5. Is Underinsured Motorist Coverage (UIM) necessary? Answer: Yes, the Goings Law Firm, LLC believes that UIM insurance is absolutely necessary even though UIM insurance is not legally required to operate a motor vehicle in South Carolina. UIM insurance is very important to purchase because many, many drivers in South Carolina are woefully underinsured. Under South Carolina law, drivers are only legally required to have liability bodily injury insurance in the amounts of $25,000 per person and $50,000 maximum per accident (if multiple people are injured). To ensure you receive the compensation you deserve in an accident, you should invest in this additional coverage. The Goings Law Firm, LLC has found that the premium amounts for this additional insurance is relatively affordable. 6. How does Underinsured Motorist Coverage (UIM) work? Answer: The real question is “How does Underinsured Motorist Coverage (UIM) protect me for injuries sustained in a car accident?” The answer is simple. In most car accidents, the need for UIM coverage is present due to the significant nature of injuries that can be sustained. Many South Carolina drivers only maintain minimum limits automobile insurance coverage. This provide benefits of only $25,000 per person. Often times the medical expenses alone to treat the injuries will far exceed the minimum limit amount. Underinsured motorist coverage allows you to turn to your own insurance for compensation for damages and injuries that you sustain in excess of the at-fault’s liability coverage. For example, what if you incur over $75,000 in total injuries due to a careless driver but that driver only has only $25,000 in bodily injury liability coverage? Let’s hope that you have underinsured motorist coverage of at least $50,000, because you will need it. To ensure you receive the compensation you deserve in an accident, you should invest in this additional coverage. 7. How much does Underinsured Motorist Coverage cost? Answer: The Goings Law Firm, LLC has found that the premium amounts for this additional insurance are relatively affordable. For example, we recently obtained quotes for a single male, living in Columbia, South Carolina, with no tickets or accidents in the last three years. A six-month premium for 25/50 limits cost only $20.00. A 100/300 was $42.00, a 250/500 was $59.00, and a 500/1 million was $97.00. These premiums are minimal compared to the benefits that UIM insurance could afford you. For yourself and your loved ones, purchase underinsured motorist coverage. But like all insurance, let’s hope you never have to use it. >8. How much Underinsured Motorist Coverage insurance should I buy? Answer: Generally speaking, you can purchase underinsured coverage up to the amount of your liability amounts or limits. With that being said, buy as much liability and underinsured motorist coverage as you can possibly afford. It’s the responsible thing to do! Our strong advice is to check your policy and contact your insurer or insurance agent or broker today to obtain as much coverage as possible to protect you and your family. 9. What is “stacking” of Underinsurance Motorist Coverage? Answer: In South Carolina, stacking is defined “as the insured’s recovery of damages under more than one policy until all of his damages are satisfied or the limits of all available policies are met.” Giles v. Whitaker, 297 S.C. 267, 376 S.E.2d 278 (S.C. 1989). “Stacking refers to an insured’s recovery of damages under more than one insurance policy in succession until all of his damages are satisfied or until the total limits of all policies have been exhausted.” State Farm Mut. Auto. Ins. Co. v. Moorer, 330 S.C. 46, 60, 496 S.E.2d 875, 883 (S.C. Ct. App. 1998). So how can this be? The law in South Carolina states that UIM coverage is “personal and portable.” This means that UIM coverage extends over individuals that are covered, rather than simply applying over the insured person only in the insured vehicle. 10. Can you “stack” Underinsurance Motorist Coverage in South Carolina? Answer: Yes, in certain circumstances. The answer is highly specific to your specific case. 11. How do you “stack” Underinsurance Motorist Coverage in South Carolina? Answer: In some states and under some insurance policies, an injured party may “stack” multiple policies to reach a satisfactory level of compensation. By stacking coverage from more than one auto insurance policy — or coverage for more than one car on a single policy — the injured party increases the likelihood of monetary recovery. Stackable coverage is not allowed in every state; in some cases, the insured must choose to have stackable coverage upon purchasing the policy. In South Carolina, the critical question in determining whether an insured has the right to stack is whether he or she is a Class I or Class II insured. Ohio Cas. Ins. Co. v. Hill, 323 S.C. 208, 211, 473 S.E.2d 843, 845 (Ct. App. 1996). In South Carolina, a Class I Insured is allowed to stack UIM coverage. The general rule in South Carolina, prescribed by S.C. Code Ann. Section 38-77-160, provides that when you meet the other requirements for stacking, you can “stack” up to the limits of the vehicle involved in the collision. Here is an example: if you carried $25,000 in UIM coverage on the vehicle you were driving in the collision, and your spouse had $100,000 on her vehicle (a car that was not involved in the collision), you could recover up to $25,000 from your own UIM coverage and only up to $25,000 from your spouse’s UIM coverage. However, if you had $100,000 in UIM coverage on the vehicle you were driving in the collision, and your spouse had $100,000 on her vehicle, then you could recover up to a combined $200,000 in UIM benefits. Remember that these coverages apply only after the at-fault driver’s liability insurance coverage has been exhausted. 12. How to recover UIM benefits in South Carolina? Answer: To recover benefits under anunderinsured motorist policy, the injured party typically will need to show that the other motorist was at fault. The injured party will also need to prove that his or her bodily injuries were significant. To collect benefits under an underinsured motorist policy, the injured party generally must have received the entire amount of insurance coverage available from the at-fault driver’s insurance company before the injured party can make a claim against his or her insurance company under the underinsurance coverage provision. Often times, your insurance company will strongly contest, challenge any benefits, and deny coverage for underinsurance injury claims. This is when you need an experienced lawyer. 13. Where can I find South Carolina case law discussing Underinsured Motorist Coverage? Answer: We would recommend that you read the following recent cases reported by the South Carolina Supreme Court and the South Carolina Court of Appeals. Remember, each and every case is different based on a unique set of facts and the constant changes in the law. Please contact the Goings Law Firm, LLC at (803) 350-9230 if you have any questions about auto insurance.